One of the many benefit of being a Sports Executives Association member is the access we provide our members to top sports business professionals are willing to share their story, experiences and advice with aspiring sports business professionals. Yesterday, we were joined by Jim Riley, Marketing Manager with the Columbus Blue Jackets. Jim is a graduate of Ohio Northern University with a bachelor’s degree in business management , and has spent the last 15-plus years working in sports marketing. Following graduation, Jim worked for the Huntsville Stars, a minor league baseball team of the Southern League, as the Director of Promotions and Public Relations. In 2001, Jim transitioned to the Manhoning Valley Scrappers as their Marketing Director before moving into his current role with the Columbus Blue Jackets. For the last six years, Jim has been the Blue Jackets’ Marketing Manager. The video below includes a short clip (3 mins) from the LIVE Q&A where Jim address this question. Visit http://sportsexec.net/live to learn how to access the full SEA LIVE Q&A recording and how to join our next SEA LIVE Q&A! What do you think of Jim’s advice? 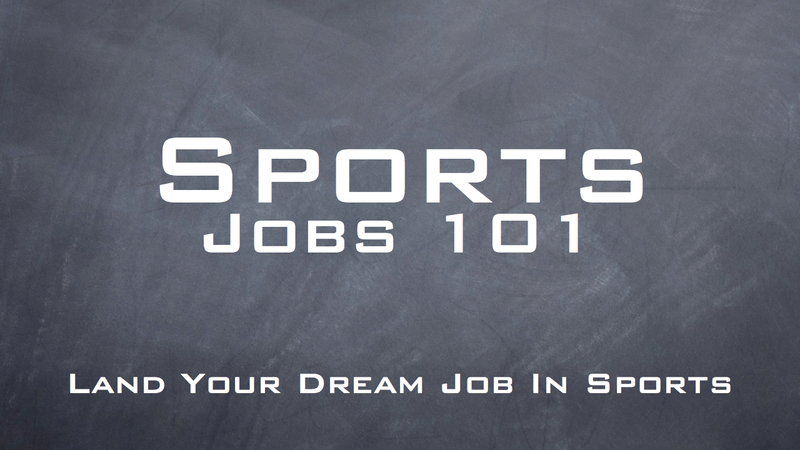 Have you implemented any of these tactics in your own Sports Job search? Keeep օn workinց, great job! experience, can take that even further. The various types of plastic surgery on the face are:. essential oils to deliver the cost effective results our clients demand. loss treatment, it’s important not to lose hope. in shallow, saltwater bays, from the Hudson River to Delaware Bay. is worth bearing in mind that if a sunbed is used for more than the recommended amount of time, there is likely an ugly truth hiding behind apparently healthy tanned skin. of the price of other popular diets and programs. to make a deliciously complete lunch that won’t leave your taste buds wanting. are easily dissolved and obtain absorbed within a few minutes. It can be discouraging when the scale does not show a loss.